The amount of avoidable deaths and injuries caused by faulty electrics is staggering, and almost half of all household fires are a result of poor electrician work. In spite of this, there are a vast amount of electricians without proper registration from government-approved certifiers. Without this, it is impossible to know for sure if your electrician has the skills required to safely carry out a task in your home. Even if the work isn’t life threatening, and you have a lucky escape, the repairs could be costly. 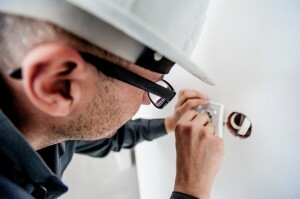 There are many electricians who are credible and trustworthy with the necessary skills needed to complete work safely. Having accomplished the training and studying required to substantially understand all there is to know about all things electrical, it’s important to promote and support those registered electricians who have got to where they are by the book. If they are not willing to physically show you their credentials, it is a good idea to cut your losses and hire someone else. Be sure to check carefully that they are qualified to take on the specific work that you are asking for, as some qualifications carry restrictions. Registered electricians will have no qualms with showing you their qualifications. Don’t just take their word as gospel; aim to get 3-5 quotes from several electricians. Once you’ve done this, make an informed decision about who you want to hire. Although it may be tempting, going for the cheapest option isn’t always the best idea, and if they are considerably cheaper than all of the other quotes then it’s important to ask yourself why and apply logic to your choice. It is important to remember that going cheap might not mean it will stay that way, and you could end up paying a fortune to repair the damage. Many electricians, and indeed tradesmen in general, become successful through word of mouth. A good electrician should be able to provide you with an honest, reliable reference from a happy customer. Even better, try to get a reference from someone you know so that you can see the long term benefits of the work that they have previously carried out. Once you have hired your chosen company, make sure that you are introduced to everyone that may be working on your house. If you have a long and complex task that needs doing, this could take days or weeks to complete, so it’s crucial that you know exactly who will be in and out of your home during this time. First Strike Electrical are an NICEIC approved contractor with registered electricians, so you know that our services can be trusted. Commercial or domestic, big or small, you can be confident in knowing that the work we carry out is safe and reliable. For more information, contact us today on 0203 503 0755.